During a summer internship with Forehand + Lake, an interior design firm based out of Fairfield CT, my final project was a self-initiated redesign the company website. The old website was outdated, and didn't showcase the multiple, diverse, high quality design portfolio of Forehand+Lake. Additionally, it was inaccessible to the company, making it difficult to update the website with new projects, awards, and press recognition. 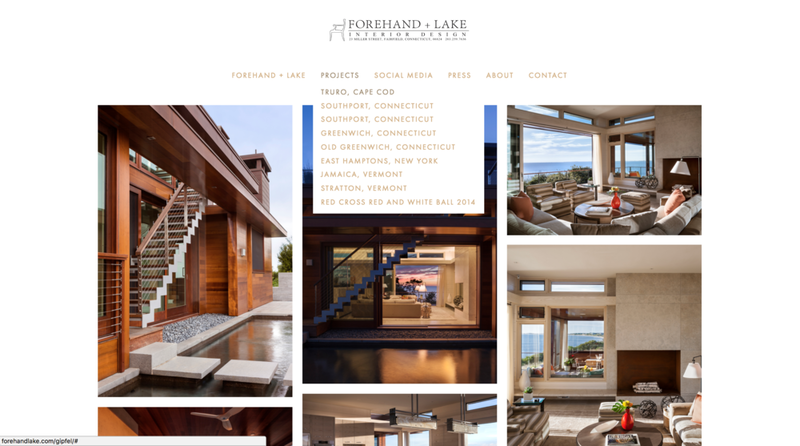 The goal for the re-design was to streamline the design to reflect the sleek design of the company, make it more internally accessible, and make it more informational, showcasing the capabilities of Forehand+Lake. To do so, I proposed designs to the design team, collected and organized images from all projects, gathered information, vectorized the logo, and wrote new copy.